According to new data, 18% of online sales valuations generated by The ValPal Network over a two-year period resulted in a completion with HM Land Registry. Between January 1 2016 and December 31 2017, member agents of the network - which now represents over 800 brands and more than 4,000 branches - generated 551,620 online valuation leads, 97,228 of which went on to complete with HM Land Registry. The network calculates that using an average sales price of £248,611 (HM Land Registry, July 2018) and an average commission fee of 1.5%, its members earnt approximately £363 million in commission - equivalent to £15 million each month - between January 2016 and December 2017. During this two-year period, a total of 2,750,588 properties sold as registered by HM Land Registry, meaning that around 3.5% of all sold properties originated through the ValPal online valuation tool. 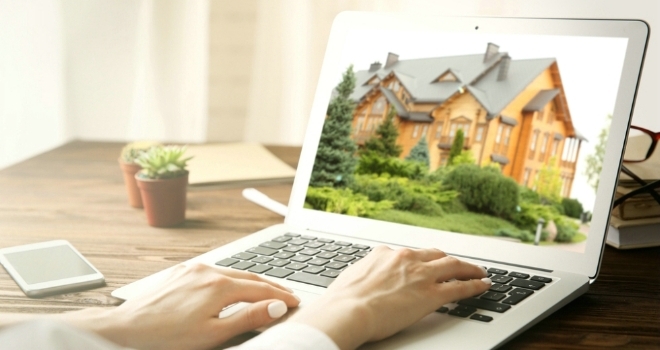 The Network reports that its average agent member generates 33 online sales valuation leads each month, earning them an average of around £22,000 in monthly commission. Agents' total lead volumes are also boosted by The ValPal Network's Out of Area programme, which provides them with the opportunity to benefit from additional leads generated in their postcodes by other members operating in different locations. Craig Vile, director of The ValPal Network, had this to say: "The number of online valuation leads which converted into completions is extremely impressive and reinforces why agents need traffic conversion tools to capture the contact information of people visiting their websites. Our members who utilise the instant online valuation tool correctly are seeing great results, with more leads, higher stock levels and ultimately increased commission earnings." According to the Network, agents must be willing to allocate budget to the correct marketing of the valuation tool. It estimates that if an agency invests £500 per month in correctly marketing its ValPal tool over a six-month period, it could be generating £30,000+ in sales commission by month six. Comparing this spend to what the typical agent spends on portal subscriptions - which predominantly provide buyer and tenant leads - the Return on Investment is far superior. Vile adds: "Due to current market conditions, it should be all about stock for agents. There is no point eating up a large portion of your marketing spend targeting buyers and tenants. However, we always remind our agents they must call online valuation leads as soon as they come in so that they can strike while a potential sale or let is still 'hot' in the user's mind. What's more, it's important to avoid getting into a conversation about the automated valuation figure. The key is to explain to the prospect why a human needs to visit them to provide a full market appraisal." One agency which has benefitted from taking a smart approach to marketing its ValPal online valuation tool is Roberts, a nine-branch firm in Wales. Following some expert advice and using the correct wording to effectively promote the online instant valuation tool, Roberts sent an email to its database and generated 261 leads in a week. The Roberts team then went on to convert 60% of these leads into market appraisals, clearly demonstrating the power of marketing the online valuation tool and then following up on the leads promptly and proactively. Katie Darlow, Residential Sales Director at Roberts, says: “We worked with the team at The ValPal Network to make sure our tool works to its maximum potential and have seen a huge response following the campaigns we have implemented recently.